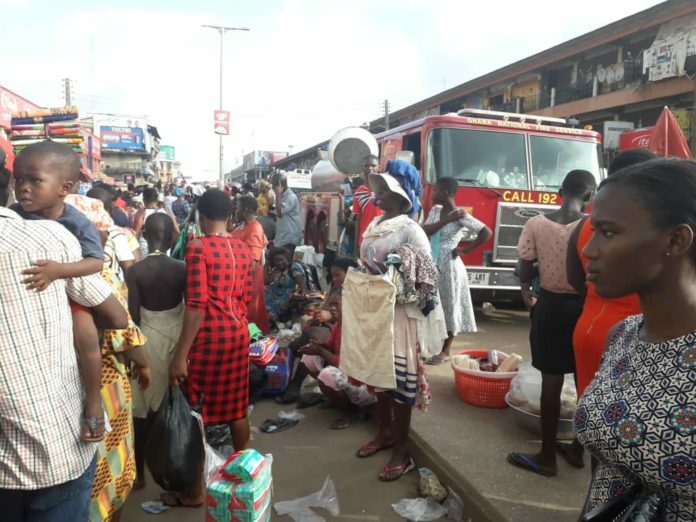 Information reaching OTEC news desk can confirm that, six people including a pregnant woman have been hospitalised after a stampede at the Central market in the Ashanti regional capital, Kumasi on Monday 10 September 2018 afternoon. 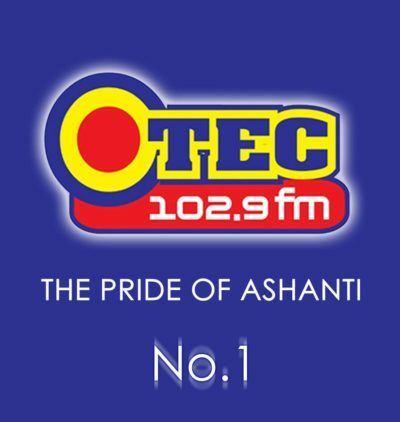 OTEC news’ Nana Asare Barimah who was at the scene reported that the place was extremely crowded which resulted in the unfortunate incident that led to the collapsing of the six persons. 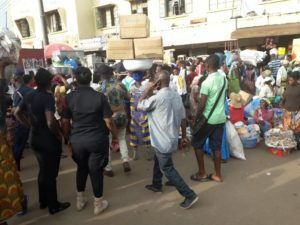 The area at Kejetia in Kumasi became very congested after authorities cordoned off the site where an ultra-modern market is under construction. 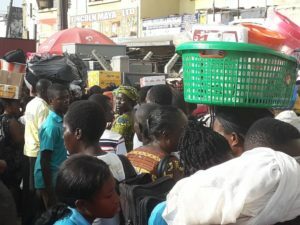 According Nana Asare Barimah, the six were rushed to the Komfo Anokye Teaching Hospital after receiving emergency treatment. 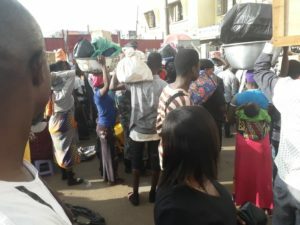 They had difficulty breathing, felt dizzy or had collapsed. 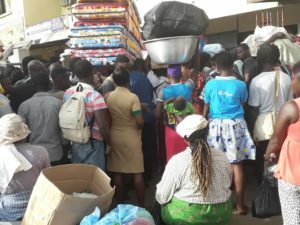 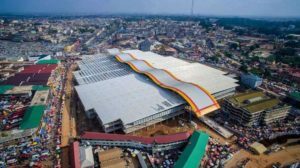 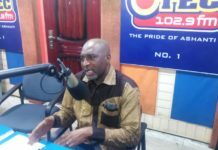 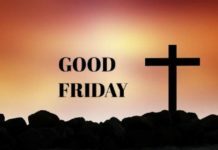 The Kumasi Metropolitan Assembly’s Public Relations officer, Mr. Okuma Nyame, in an interview said the massive congestion at the central market caused the stampede. 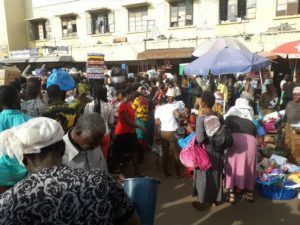 He added that the fencing of the on going kejetia project has narrowed the pedestrian walk way, impeding free movement in the area. 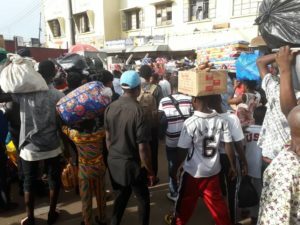 Mr. Okuma consequently hinted the assembly has decided to remove the fence to pave way for smooth movement in the area. 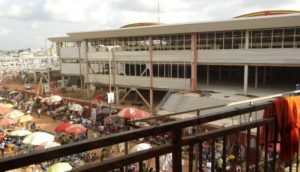 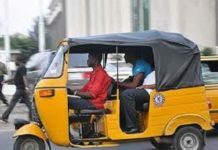 He therefore cautioned petty traders who do business in the pedestrian walk way to vacate the place to avoid forceful ejection by the assembly’s task-force.